i am a firm believer in the idea that if you take care of your skin, it will take care of you. meaning, no matter what your age, appropriately cleansing and moisturizing will provide you with long lasting results. simplicity. i don't have a problem with using several creams and moisturizers, but there is something to be said about a basic cleanser and moisturizer. simple, easy, and effective. sunscreen! with everything we know about UV damage we should be using a sunblock daily. having a moisturizer with a sunblock built in is worth every penny. oil-free, fragrance free, hypoallergenic, non-comedogenic. these are the four key factors when looking for any sort of skin care product. non-comedogenic means it won't clog your pores, hypoallergenic means your sensitive skin is protected, fragrance free and oil free are both excellent choices for those with sensitivities. Purpose is a great option for those of you who like the simple basics of skincare. easy and effective. 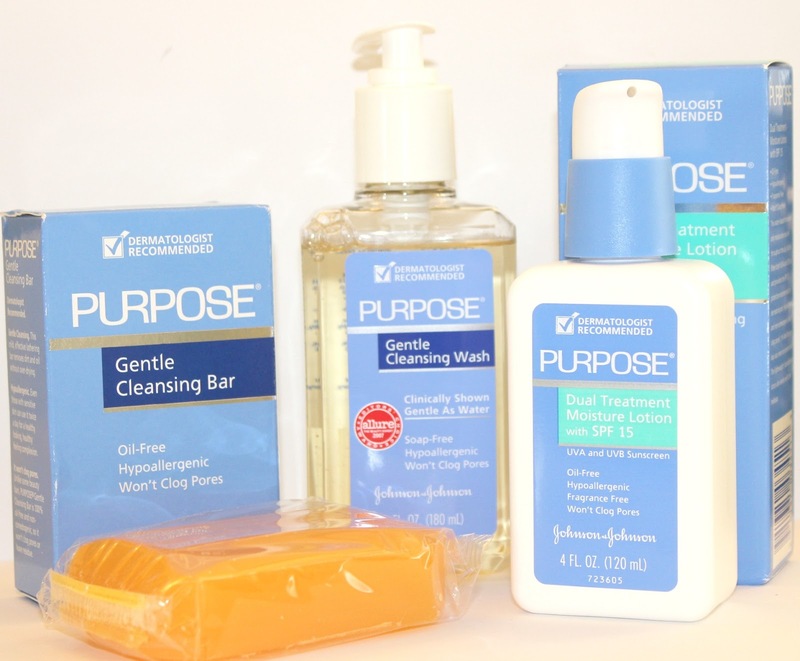 for more information or product purchase information, you can visit their website www.purposeskincare.com. ps. please take a minute and head over to Allure and vote for my weekly challenge. don't forget that every vote enters you into some great prizes from Allure, as well as, enters you into my weekly giveaway. My dermatologist had me use the moisturizer when I was using a particular harsh treament for my skin. I liked it a lot. It's so funny to see if again. This is a great article about skin care tipsfor sure. I have bookmarked the site so that I can keep track of your progress in the future. Thanks and keep up the great work.